Former Northern California photographer, Cathy Gerth, (now in Lahaina, HI) focuses her photography on newborn and child portrait sessions. Cathy’s home-based portrait studio serves families throughout the island of Maui; including Lahaina, Kaanapali, Kapaula, Napili, Kihei, Wailea, Kahului and Wailuku. Northern California families have trusted Cathy to photograph their newborns and families for over a decade. Cathy is wonderful! We had a newborn session with her at the end of May and we're so happy with the process! She is very sweet and easy to work with. Her in-home studio is amazing with so many options for props, backgrounds, and wraps etc. for the baby. She is super accommodating and made us feel very welcome and comfortable. Great value for the price too. We love the pics and will truly cherish them. Highly recommend her!! "I had a wonderful experience taking newborn/family photos with Cathy. The photos captured my newborn son and his older sister just as I had hoped- the photos were beautiful! Cathy was very patient and went out of her way to make sure the baby (and his 2 year old big sister) were comfortable throughout the shoot. Her heated studio was equipped with a fully stocked changing table as well as a wide selection of blankets, wraps, backdrops, and props. 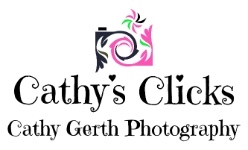 I highly recommend Cathy's Clicks for newborn photography!" Cathy was amazing. Very patient with our photo shoot and time wasn't rushed. We felt very welcome and she accomadated us throughout the photo shoot! We will be back !!! Cathy's Clicks did a great job with our newborn photo shoot for our 2 week old baby! Better deal than other Bay Area photographers and she spent over 4 hours perfecting the staging for the photos! Will definetly go back to her next time! Cathy is so kind and patient! We love her work and we are truly grateful for her time. Cathy is very detail-oriented and will go above and beyond to get that perfect shot. We now know why Cathy came so highly recommended and it would be a crime to not pay it forward - go to Cathy for any of your photography needs, we would recommend Cathy to anybody! I was very happy with the entire newborn session from start to finish. The house was warm for baby and many different setup and choices. Very impressed with the end photo results as well, I'll be able to enjoy these photos for many years to come. Cathy made my husband and I feel at ease while taking photos for our 40th wedding anniversary. We actually took the photos in the exact location of our wedding pictures from 1977. We could not have been happier with our photos. Cathy is fantastic! Cathy did an amazing job with our little one's new born pics. She was also so patient when our older daughter wasn't cooperating for her pictures! She has a great eye. Every picture was just perfect. It was hard to pick which one to put up! Cathy was great! When she found out I had a particular theme in mind for my shoot, she went above and beyond by buying her own props for the shoot to fit my theme. She was incredibly patient with our newborn, who only wanted to fuss for 4 1/2 hours instead of sleep; despite the fussiness, she still managed somehow to get some great shots. Great job; I would highly recommend her! My soon-to-be husband and I were lucky enough to get our engagement pics done with Cathy. She was extremely patient and helpful. We were nervous having professional pictures done because neither of us had any experience, but Cathy was so amazing at placing us and at communicating with us during our shoot. She also got our pictures to us extremely fast and they were so perfect!! Thank you, Cathy! Cathy is a fabulous artist and her heart shines through in her beautiful work!